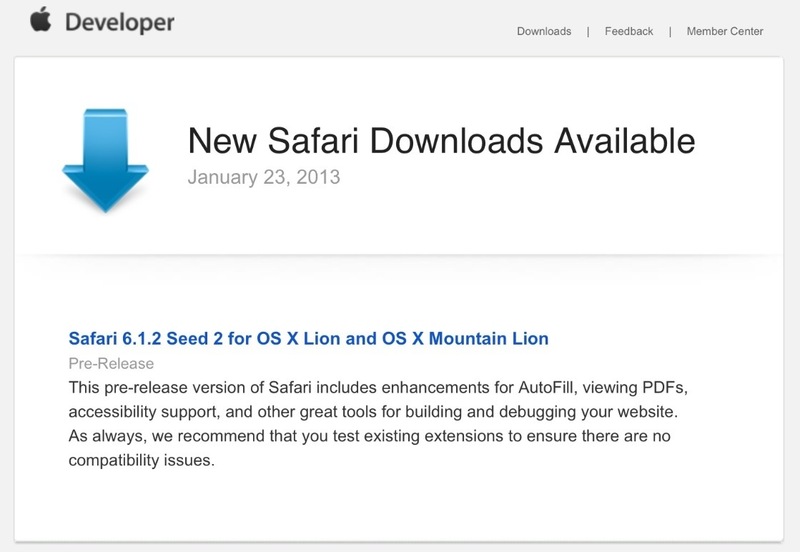 New Safari update available to developers. Apple also seeded a Mavericks beta to developers. Both updates focus on minor fixes and enhancements. This entry was posted in Apple, Breaking, iOS, Tech Industry and tagged Mavericks, OS X, Safari, Safari 6.1.2. Bookmark the permalink.